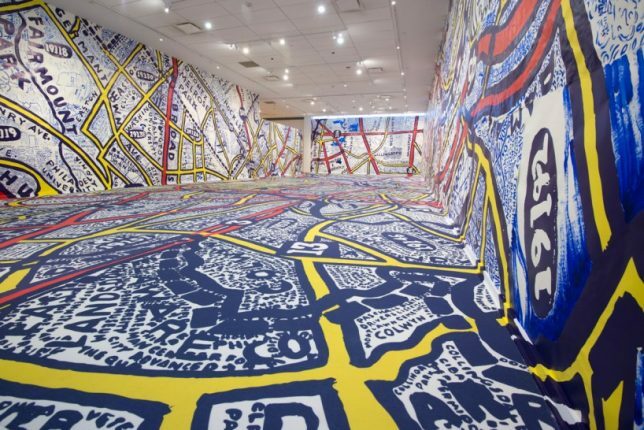 With the advancement of technology, the ways in which we perceive information have become increasingly visual, interactive and all around multi-dimensional – so why shouldn’t maps evolve to reflect it? 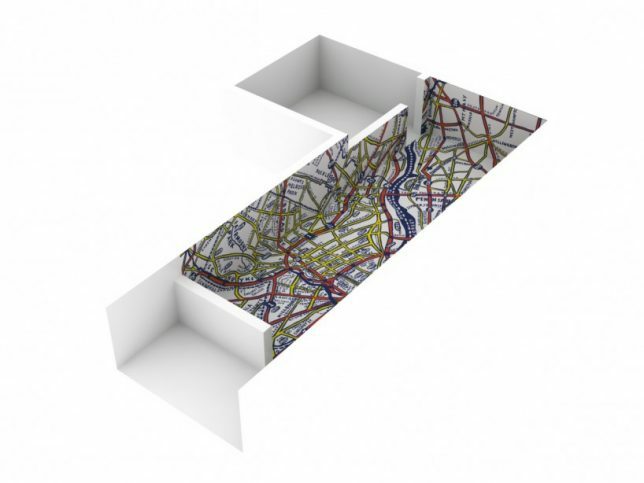 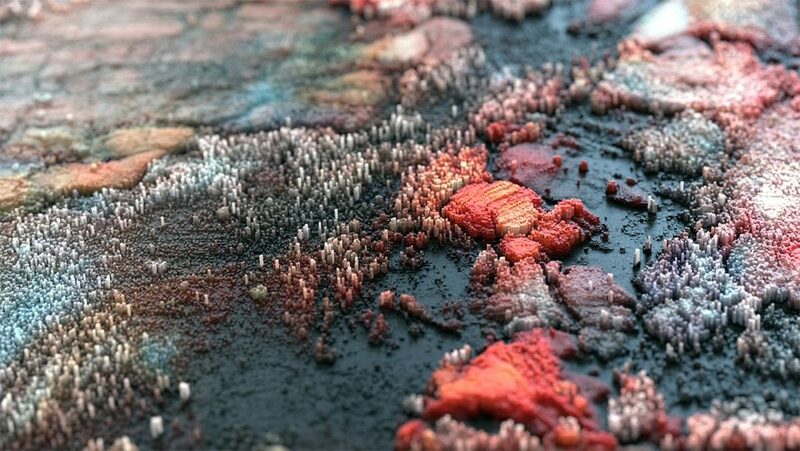 These map concepts, installations and renderings in a variety of materials and forms let navigational data pop off the page into 3D creations, or blend the information with functional objects to tell a story. 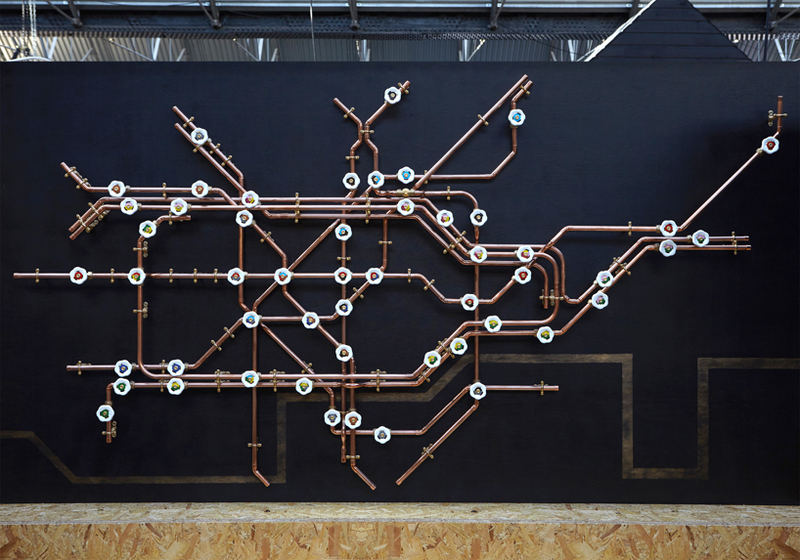 British designer Nick Fraser used a network of copper pipes on a black wall to create a map of London’s tube system, making the nickname literal. 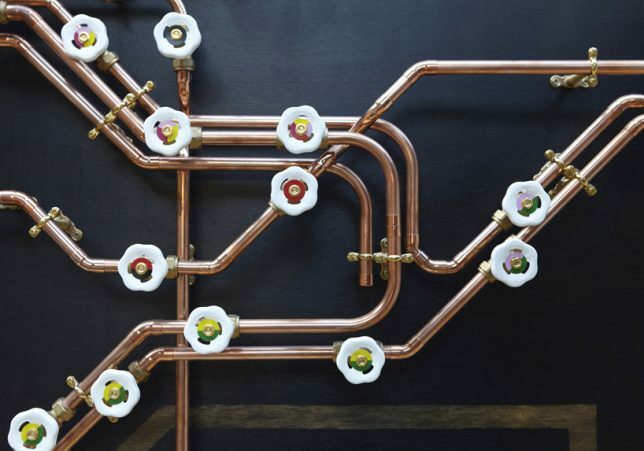 To differentiate the different lines, Fraser uses a series of colored washers. 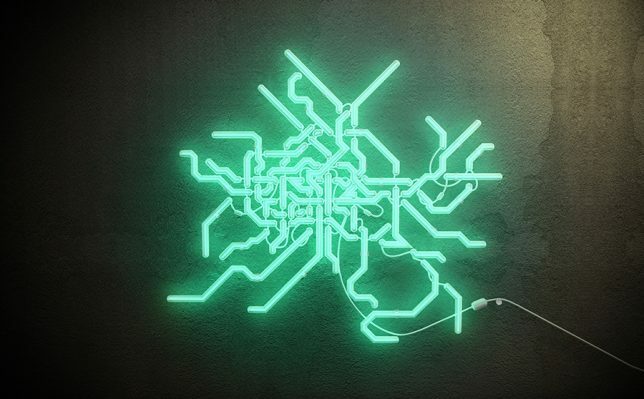 Subway maps for various unnamed cities are rendered in vivid neon lights by designer Petr Koll for this fun series. 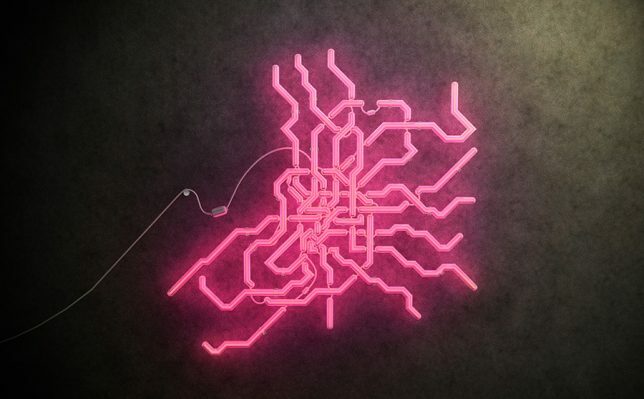 What you can’t see in the still images is that the lines light up one at a time and then blink together. 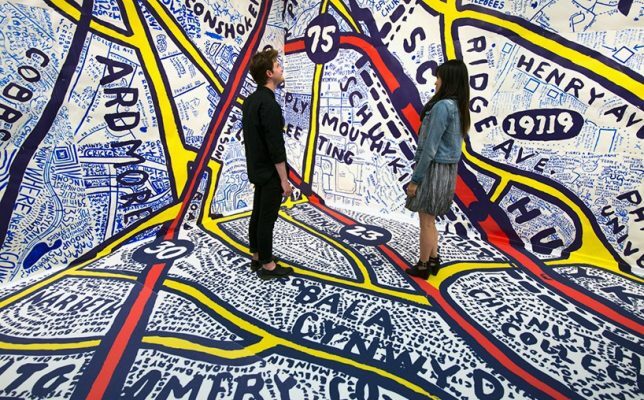 A hand-drawn map of Philadelphia is fitted to the interior surfaces of a gallery using dimensional modeling, immersing visitors in a navigational experience as “a personal reaction to information overload.” Famed designer Paula Scher worked with students at her alma mater, the Tyler School of Art, to create the installation. 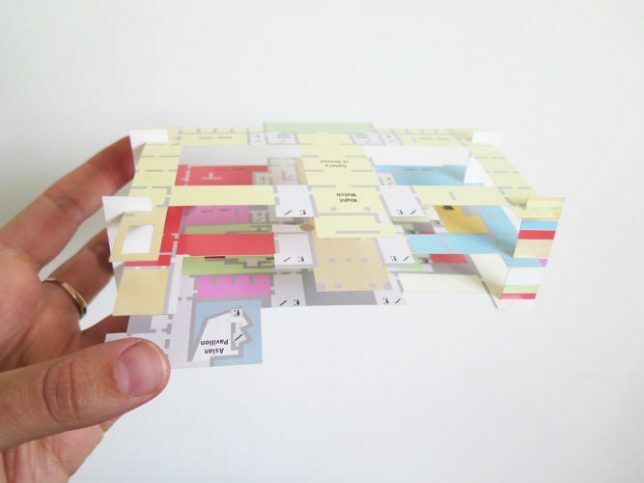 How do you explain to visitors in clear visuals how they can navigate 8,000 objects spanning 800 years of art spread through 80 individual galleries in the same building? 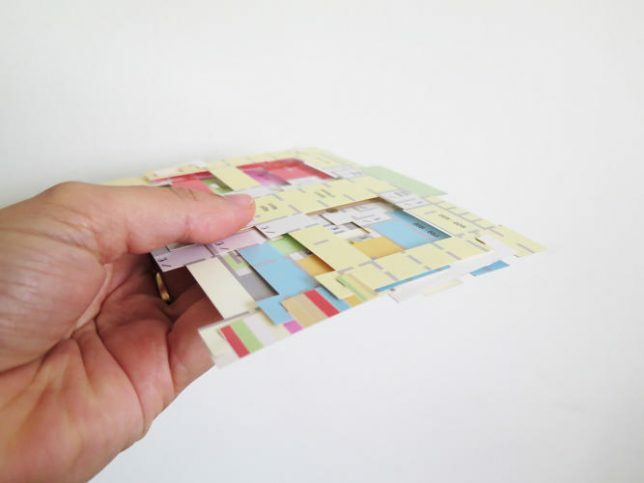 Graphic designer Marjin van Oosten came up with a refreshingly simple analog solution: a pop-up paper model of the building with color-coded and labeled ‘floors.’ It lets you see the whole building at once and physically hold a model of it in your hands to get a better idea of where things are. 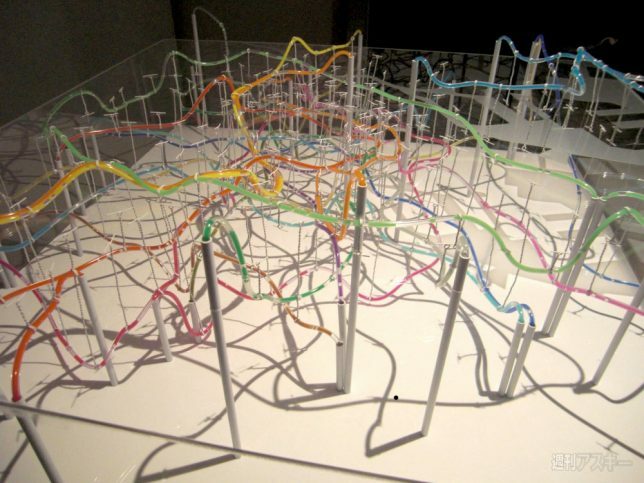 The surprising number of dips and turns in Tokyo’s subway system, hidden from sight, are revealed in this rollercoaster-like model by Takatsugu Kuriyama. 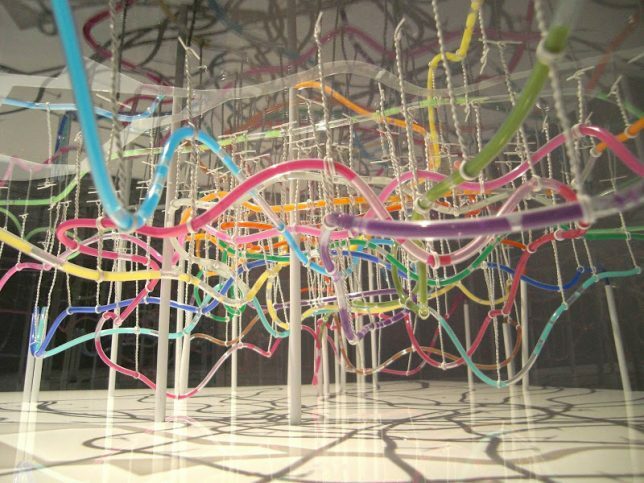 Different colored liquids pulse through the various tubes to show movement in each line.